Don't be overwhelmed by the dirt in your garden. Soil. It is the foundation of your garden, and yet as gardeners, we so often overlook it. Even successful gardeners do not always know the makeup of their soil, and instead depend simply on what "feels right." Knowing what type of soil you have in your garden and understanding the different characteristics of these soil types is an invaluable tool in improving drainage and fertility. These things can directly impact your garden’s ability to absorb nutrients and directly affect your yields. There are many different ways of classifying soil, from complex government surveys to the much simpler breakdown that most of us need to know. There are three main types of particles: sand, silt, and clay. The composition of your soil (how much of each of these things it contains) is referred to as the texture and is the first thing you need to know about soil types. 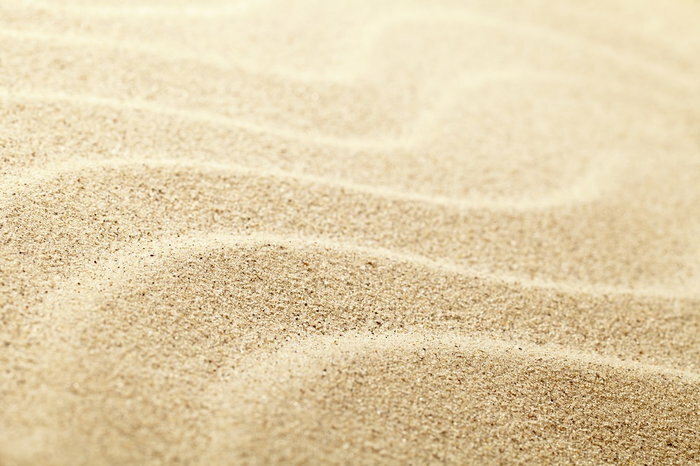 Sand is the largest of these particles (gravel, technically, is larger, but for our purposes, we will begin with sand). Sandy soils are composed of these large particles, approximately 0.05-2mm, and it drains very quickly. As a child, you probably poured water into a sandbox. Remember how quickly it disappeared? That is because these soils are very porous. Sand particles are also usually round, which creates more air space between them. Obviously soils with a higher sand ratio are great if you want your garden to drain well. 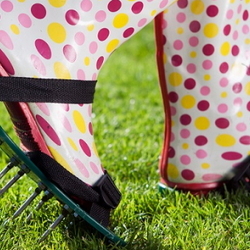 However, too much drainage can result in poor moisture retention, so you will have to be careful. Silt is significantly finer than sand. It is about 0.002-0.05mm in size. Silt soils are typically more fertile than sandier soils, and they hold water better. Like clay soils, they can compact relatively easily, but they maintain a balance between the two extremes as far as drainage, soil nutrients, and workability. Clay is the smallest particle of all, at 0.002mm or smaller. Clay soils have much less space between the particles, which makes it the least porous of the soil types and can result in poor drainage. Clay also compacts easily, which is a good thing if you are a potter, but not as rewarding for gardeners. On the bright side, it holds water and nutrients very well, sealing them between fine layers of clay, and the smaller particles mean that there is more surface area for nutrients to stick to. Loam is a combination of these three particles and is generally considered the ideal soil type for gardeners. Loam retains nutrients and water while providing adequate drainage, and has a nice friable quality to it when evenly moist. It is typically comprised of 40 percent sand, 40 percent silt, and 20 percent clay, but this ratio is sometimes altered. Loam with more clay is called "clay loam"; loam with more silty is called "silty loam"; and loam with more sand is called—you guessed it—"sandy loam." Soils are rarely just one type. Picture soil particles as a triangle, with clay at the top, sand and silt at the bottom, and loam a little below center. Your soil will probably be a combination of all three types, somewhere on that triangle. Understanding which kind of particle is predominant in your garden can help you manage your growing more effectively. How Do You Tell What Type of Soil You Have? 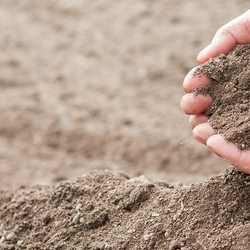 Figuring out what kind of soil particles are predominant in your garden is as simple as touching the dirt. Sand feels gritty on your hands, and you should be able to see the individual particles. Silty soils have a floury feel when they are dry, although they can feel greasy when wet, and clay feels greasy all the time. Try to form a ball of soil in your hand. Sand will not cooperate unless it is very wet, while silt will form a ball, but will not roll out into a ribbon without cracking. Clay will form a ball, a ribbon, and most other shapes you try to impose on it. 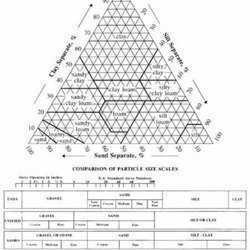 Particle size is just part of the package. You also need to know the structure these particles make. 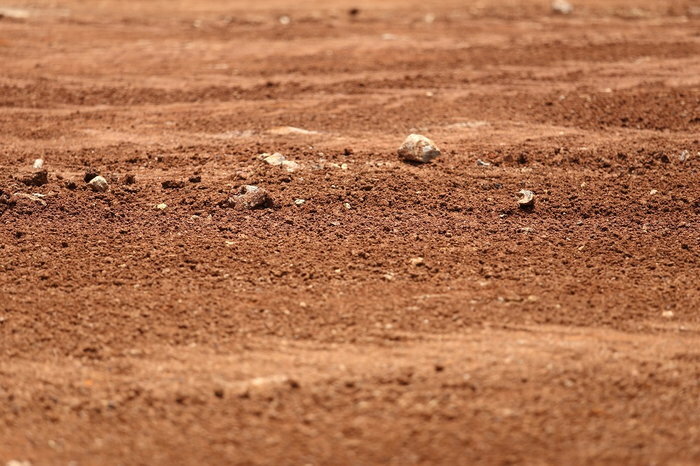 Soils with good soil structure are called "crumb" or "granular soils," because the particles form more granular structures that allow for better drainage. Soils with flat, platy structures allow for less movement of water, nutrients, and roots, and are often found in compacted clay. The amount of organic material in your soil determines not only fertility but also something called "soil aggregation." Simply put, soil aggregates are balls of soil produced by bacteria, fungi, and roots. Water stable aggregates are one of the most important types because they do not fall apart when wet. Stable soil aggregates are crucial for nutrient infiltration, root growth, and erosion resistance. You can improve the aggregates in your soil by adding lots of organic material like animal manures and cover crops. These materials feed the soil organisms responsible for forming aggregates, while also providing a host of other benefits. Now that you understand the different soil types, what can you do with this information? Start by researching what varieties of plants that grow best in your specific soil composition. You might be able to improve drainage in clay soils over time, but choosing to grow vegetables that prefer sandy soils in clay soils is not necessarily wise. It can be done, but why work against nature when there are many plants that love clay? The soil type will also tell you when you need to work it. Sand warms up in the spring faster than other varieties, which means you can plant sooner. Clay stays cooler and holds water longer, so you may not want to work it first thing, but in the heat of summer when your neighbor’s sandy garden is wilting, your clay garden will still be green. Soil compaction is an issue for all soil types; however, it is especially easy to compact clay thanks to its small, dense particles. This can result in stunted plants, hardpan, and soil cracking. So, if you have a higher ratio of clay in your soil, keep equipment and feet out of your garden beds as much as possible. 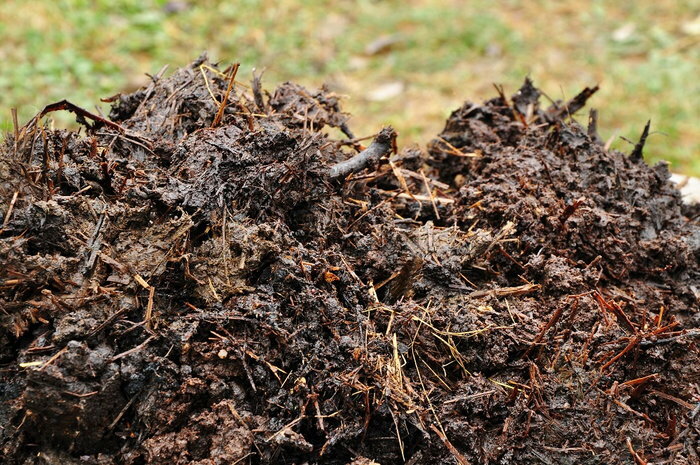 You can also change your soil’s composition over time by adding organic material and other soil particles. Clay-based soils benefit from amendments of sand and compost to improve drainage. Sandy soils, similarly, benefit from the addition of silt or clay, along with lots of organic matter. If you are lucky enough to garden in beautiful loam soils, congratulations! There will be many gardening challenges ahead for you, but you are off to a great start. But, if—like most of us—you have to make the best of what you’ve got, and what you’ve got is a lot of clay or sand, at least now you know enough of the basics to get started bringing your soil to life.